As with any professional medical provider, our chiropractic physicians use a range of diagnostic tools to obtain a clear understanding of an injury before outlining the most effective medical action plan for each patient. Two of the most common tools we use are x-rays and MRIs. There are many differences between how these tests are run and the results they provide. What's the difference between an X-ray and an MRI? X-rays may show only bones and spaces: Acute fractures, dislocations, arthritis, alignment, etc. X-rays use radiation, which travels through the body, to create the image on film. 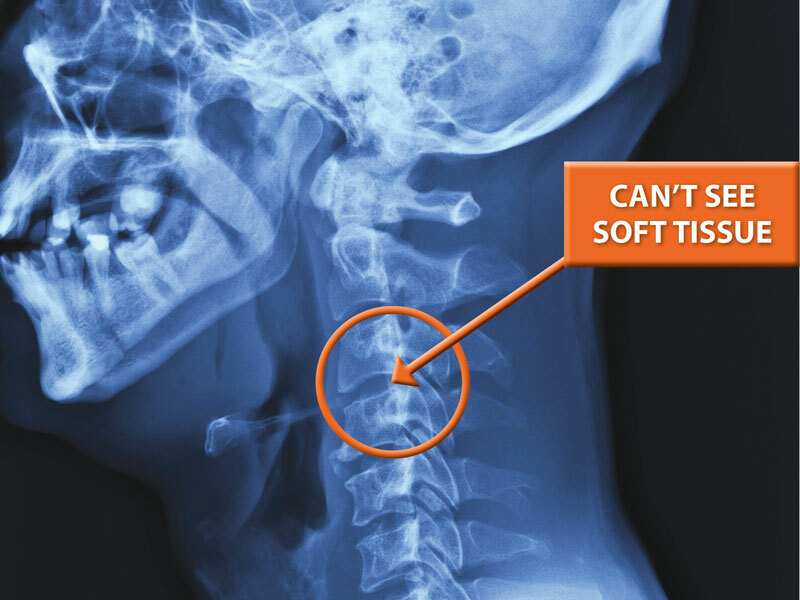 X-rays cannot show disc injuries or torn ligaments, tendons and muscles. X-rays cannot show traumatic brain injuries or damaged nerve tissue. MRIs can show bones and spaces: Fractures, dislocations, arthritis, alignment, tumor, etc. MRIs can show show disc injuries: Bulges, herniations, extrusions, sequestration and annual tearing. MRIs can show muscle tissue, and possible tendon and ligament injuries. MRIs can show nerves, brain tissue, edema, spinal cord injuries or swelling, vascular injury and contusions. MRIs use magnetic fields, not radiation, to create the images. 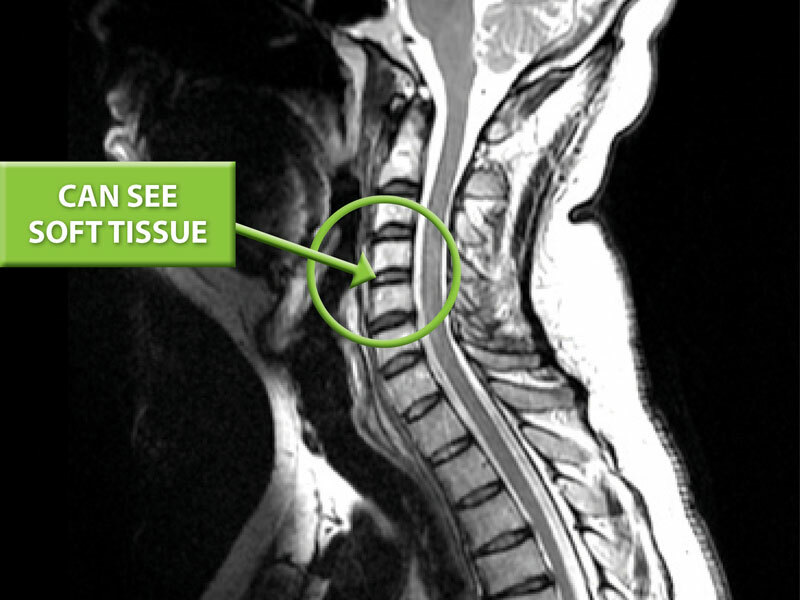 Ask your chiropractor at The Neck and Back Clinics if a 1.5T GE® MRI can help provide a more accurate diagnosis and appropriate medical action plan.